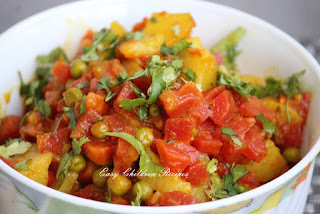 Gajar aloo or carrot vegetable is cooked in almost every house during winter season. The best carrot vegetable is one which is moist and juicy after being cooked. 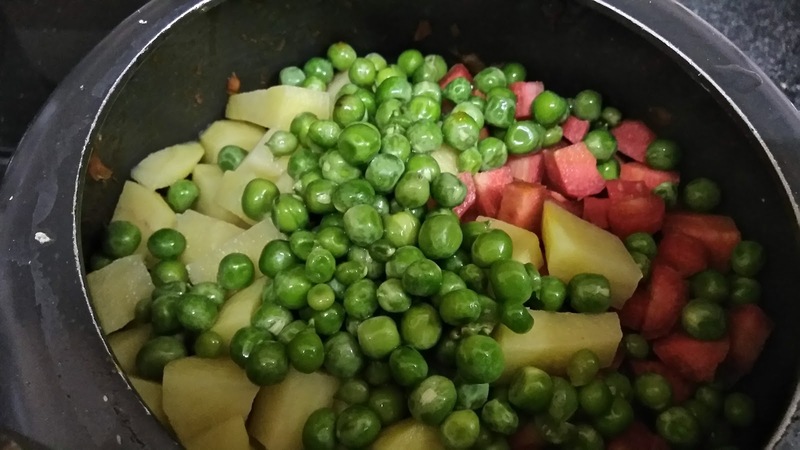 Due to potatoes in it, they absorb all the juice of carrot and make the vegetable very dry, which many of us specially children don’t like to eat. 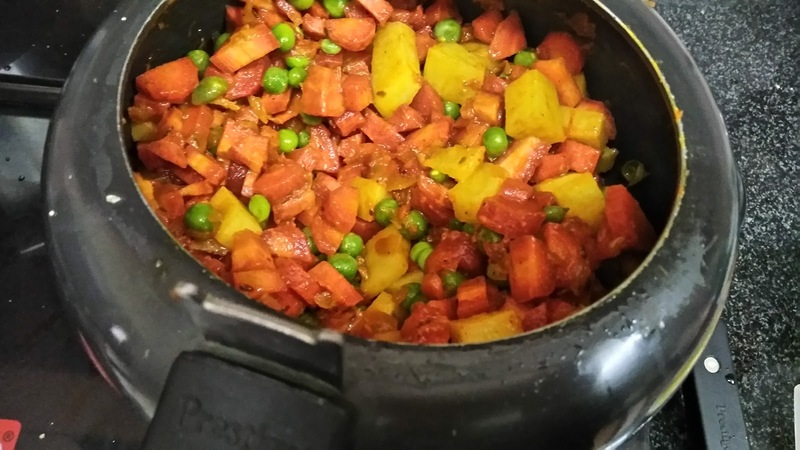 After many hit and trails I tried making this vegetable in cooker, it might sound awkward making vegetable in cooker but trust me to make super moist and juicy carrot vegetable is to cook in pressure cooker and not in kadai. 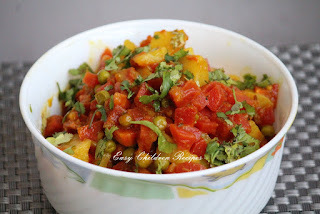 Do try my version of making this super healthy vegetable, I bet your kids will fall in love with this. 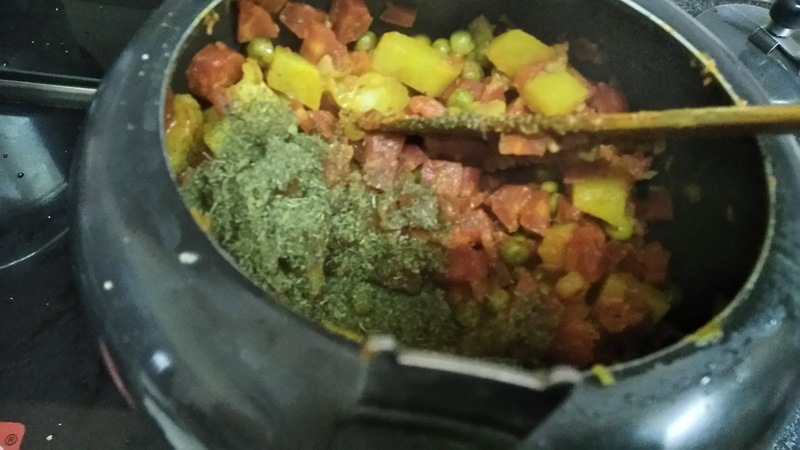 Heat oil in pressure cooker, add jeera and let it turn brown. Add onion and sauté till golden in color. 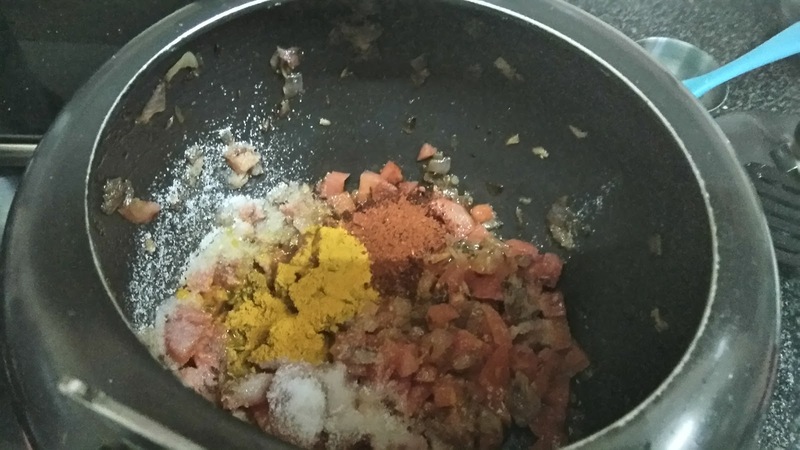 Add tomatoes, ginger, salt, turmeric powder, red chili and coriander powder. Mix well. Cover with lid, don’t close the cooker lid, just cover as shown in pic below. Let tomatoes become tender and soft. Mix the gravy well and if required mash it with the help of ladle or spatula till gravy combines well. Now open and cook gravy on low flame till start releasing oil. Add vegetables, mix well. Close the lid of cooker and give one whistle on medium flame. After one whistle, wait for 2 minutes and then turn off the flame. 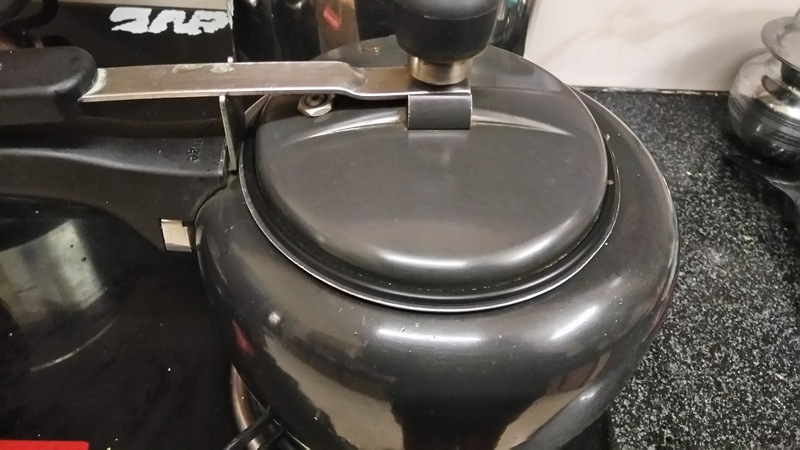 Let cooker de-pressurise naturally. You will see lot of water released from carrots, which you can’t get if cooked in kadai (wok). Open add some kasuri meethi. Mix and enjoy this moist and bright vegetable. 1. 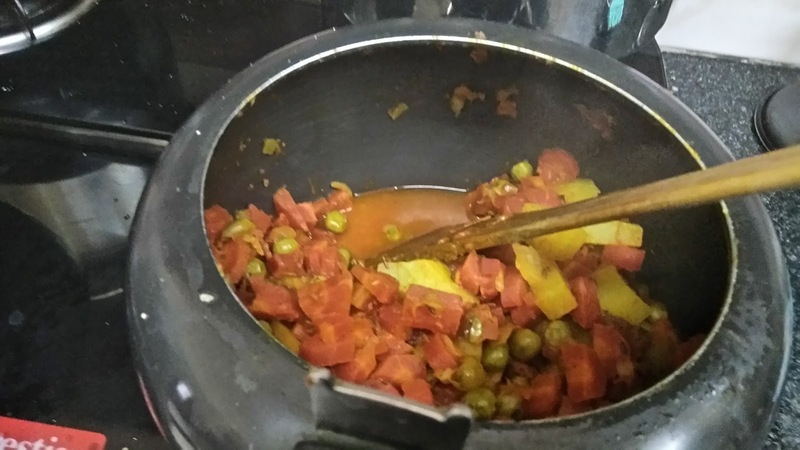 The only secret for having moist and juicy carrot vegetable is to cook it only in pressure cooker, if you cook in kadai, it will become very dry, even after adding extra water. 2. Make sure the flame is only medium while giving whistle. If the flame will be low, the vegetable will be overcooked and mushy. If the flame will be high, it will be just cooked and not combined with each other. 3. Don’t dry the extra water released from the vegetable, after few hours you will see half of it’s water will be absorbed. 1. 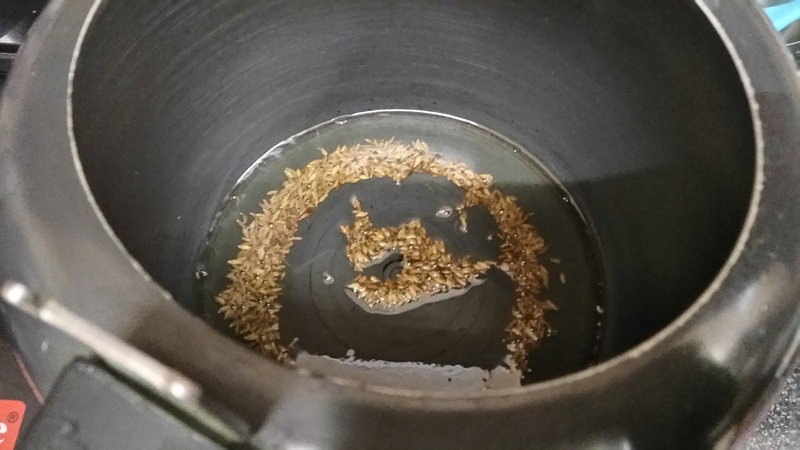 Heat oil in pan, add cumin seeds and let it splutter. 2. Add onions and let it turn golden in colour. 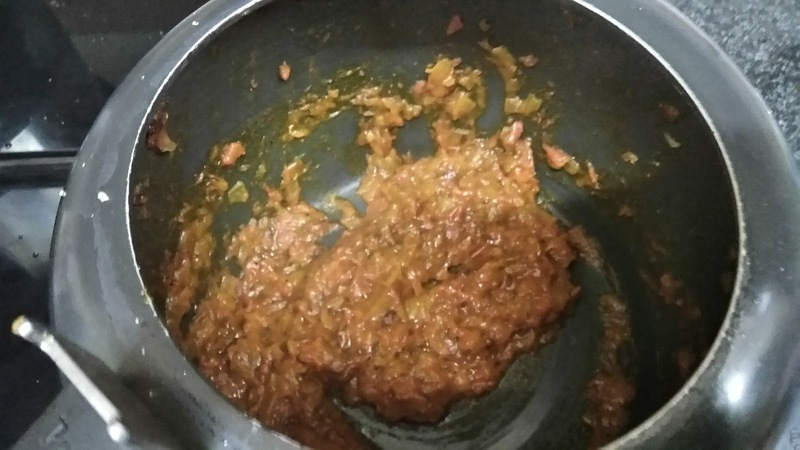 Once onions are golden in colour, add tomatoes, finely chopped ginger and all the spices mentioned except for kasuri meethi. 3. Cover with lid and let tomatoes become soft and tender. If required add little water. 4. 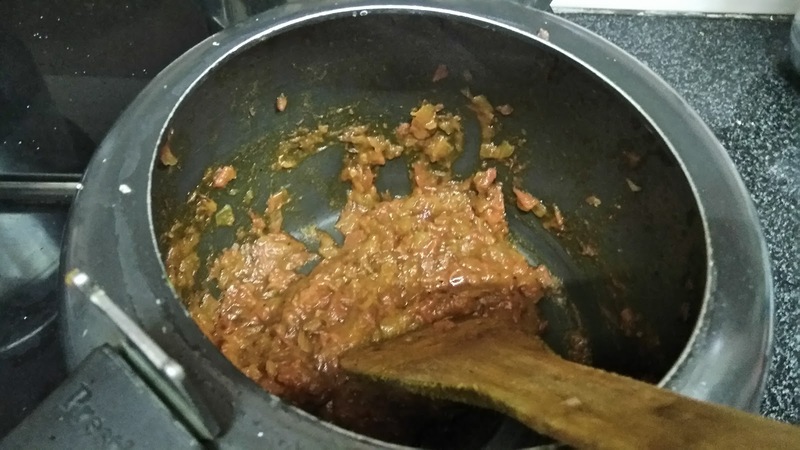 Open the lid after 2 minutes, mash the tomatoes to get thick and combined gravy. 5. Let gravy cook on low flame till start releasing the oil or start leaving the sides of pan. 7. Mix it well and give one whistle on medium flame, wait for 1 minute and turn off the flame. 8. Let cooker depressurize naturally. You can see in the pic above how much it has released, this keeps the vegetable moist and juicy for long time. 9. Add kasuri meethi and mix well. 10. Garnish with some chopped fresh coriander leaves.